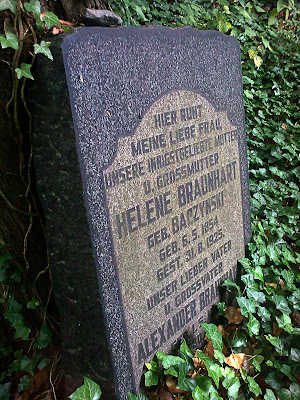 With much appreciation to Andrea for visiting the Weissensee Jewish Cemetery in Berlin and photographing the two gravestones found from the Braunhart family. 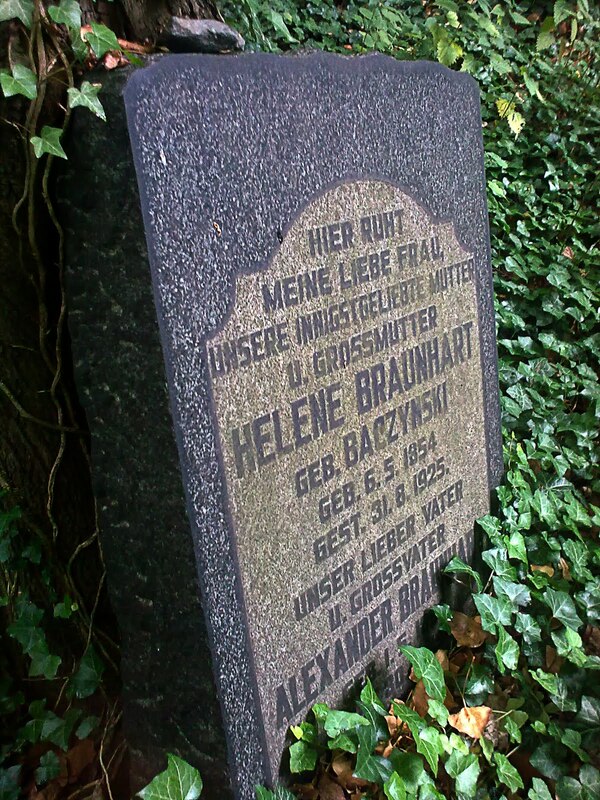 She was able to locate the gravestones of Alexander and Helene Braunhart and their son Theodor. 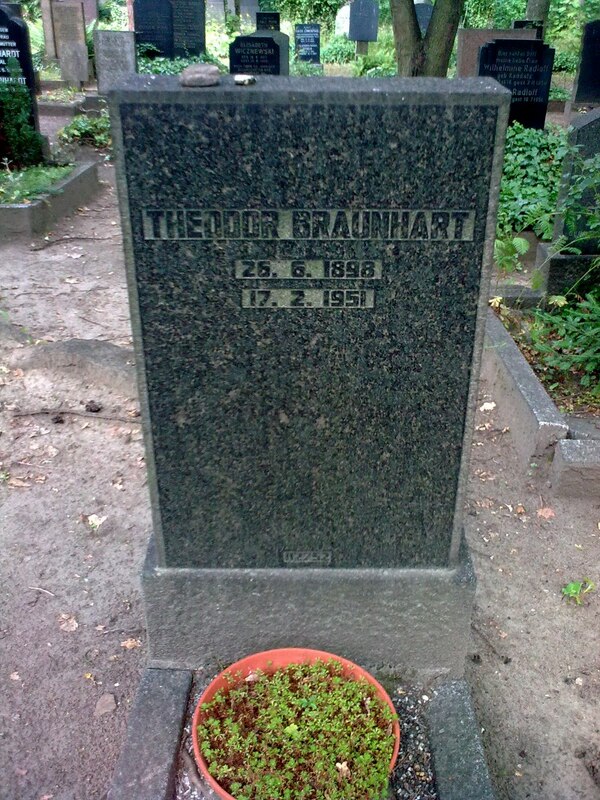 This is the first knowledge we have had regarding the birth and death dates for Theodor.